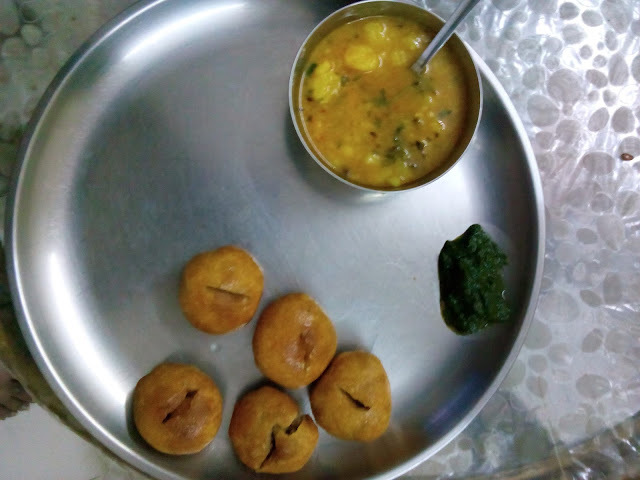 I had never heard of Litti before marriage. Usually, after the wedding, once the guests are gone, it is time to catch up on sleep and give in to the laziness. But the word lazy and my mom in law are poles apart! As if waiting for the guests to go, she immediately got in her Master chef avatar and whipped up Rajma Chawal that would give any five star hotel chef a run for his money! Next came something I had never seen before! Litti! While Litti is traditionally enjoyed with Chokha, mummy serves it with her signature spicy Old dilli style alu tamatar is subzi. 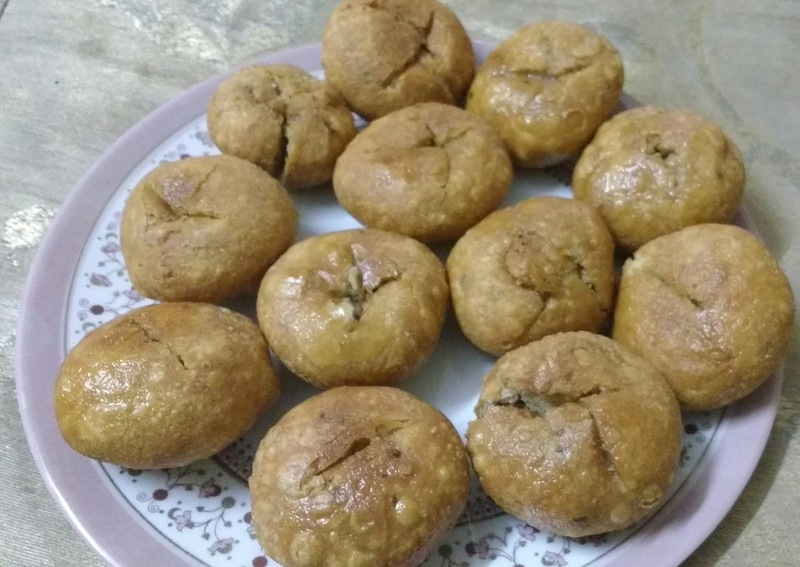 My first reaction was "Wow, u have prepared Kachoris!" to which, she smiled and introduced me to the amazing dish. 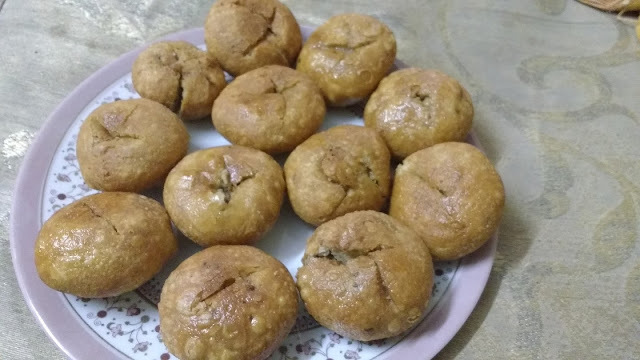 As I savored my Littis, mummy took me through snippets from her stint at Bihar, where my father in law was shortly posted and how she picked up the recipe from local ladies in the neighbourhood. Being the loud mouth that I am, I told mummy how much I loved the Littis. However, I loved to have them like Kachoris (and I still prefer to eat them that ways, albeibeit with a generous dollop of desi ghee poured in the heart of the Litti). I requested her to save a few so that I could carry them as a quick snack for my Honeymoon. Next morning, as we woke up early morning to catch our flight, mummy surprised me with a box of Laddoos and freshly made Littis! While I jumped with joy initially, the next moment the joy turned into guilt, as I realized she got up much before us, just to pamper her daughter in law to a box full of Littis. As guilt took over, I asked her "I had asked u to save a few pieces for my holiday, why did u trouble yourself by waking up sooo early?" She replied, "I wanted to give you fresh Littis which would last 3-4 days." Her humble reply left me speechless and taught me a new meaning of motherhood! Needless to say, the Littis gave me great company during early morning sight seeing sessions in the hills when no restaurant would be open for breakfast! Like a kid, I would call mummy everyday and tell her how much I was enjoying the Littis! Sometimes, small gestures make a big difference. I fell in love with the hot Litis and my doting mom in law! It was also a promo of my mom in law's amazing culinary skills. Having trained under her, I can now proudly boast of my culinary skills. Sharing a pic of these amazing Littis mummy pampered me to on a lazy rainy afternoon. And that's how, delicious hot meals often melt away the ice in relationships!